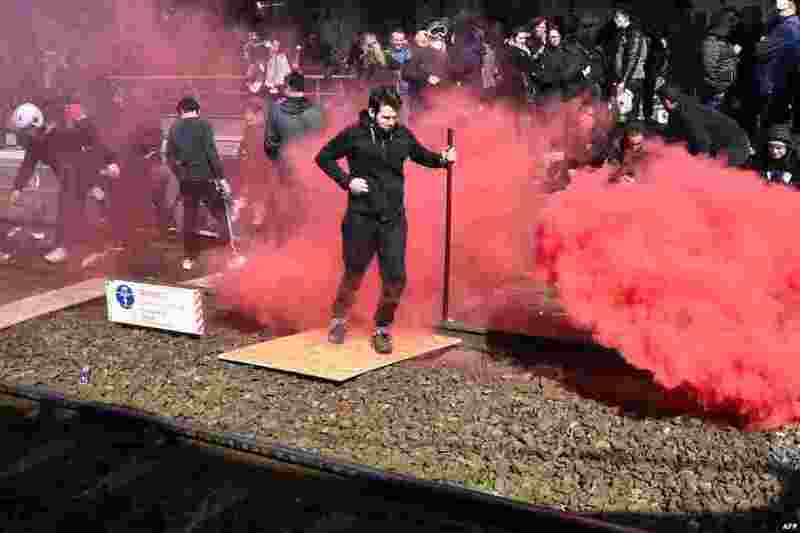 5 Fairground workers block the rail track of Le Mans railway station to demand a return of the fairground to the center of the city, in Le Mans, France. 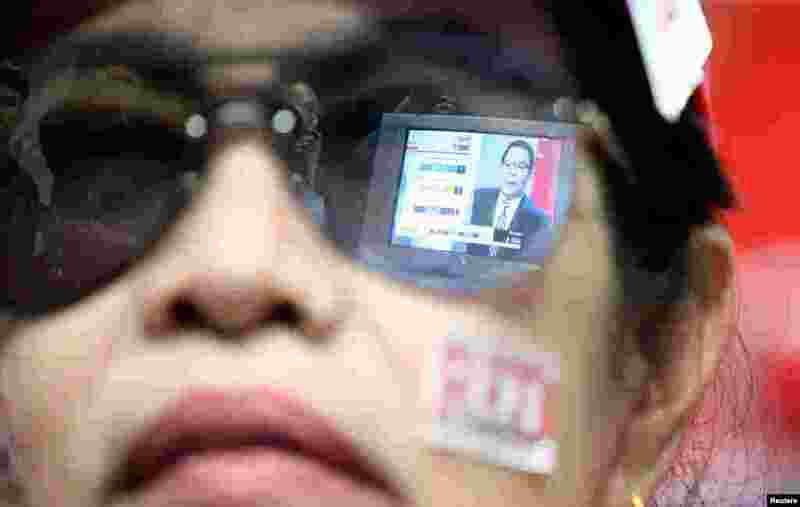 6 Live results are reflected in the glasses of a supporter of the Pheu Thai Party during the general election in Bangkok, Thailand, March 24, 2019. 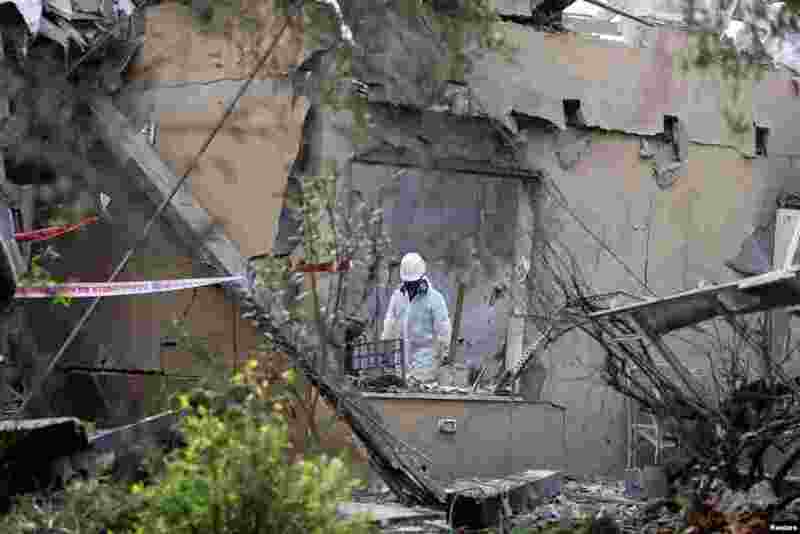 7 A police sapper inspects a damaged house that was hit by a rocket north of Tel Aviv, Israel. 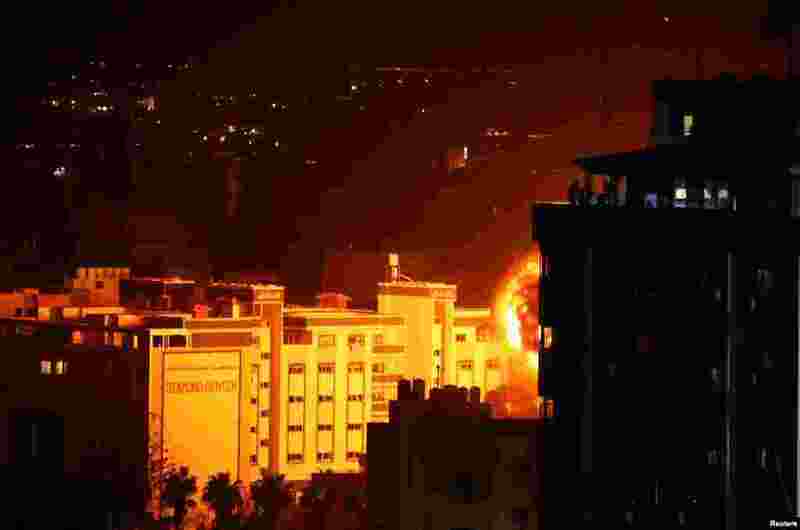 8 Flame and smoke are seen during an Israeli air strike in Gaza City in the Gaza Strip, following a rocket strike on Tev Aviv that damaged a house and injured several people. 9 Roger Rosner, Vice President of Applications for Apple, speaks during an Apple special event at the Steve Jobs Theater in Cupertino, California, to launch the tech giant's subscription TV streaming service. 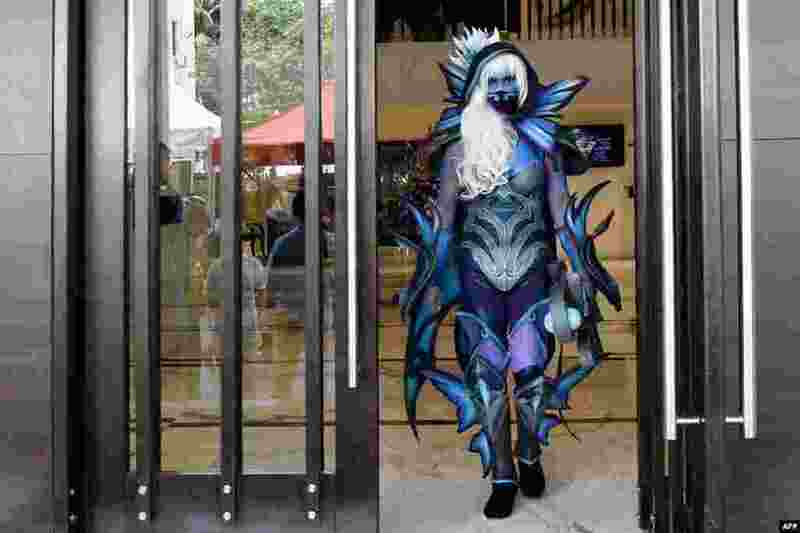 10 A person dressed as Japanese anime character Traxex, the Drow Ranger, arrives to take part in the annual 'Planet Cosplay Walk 2019' event, in Bangalore, India, on March 24, 2019. 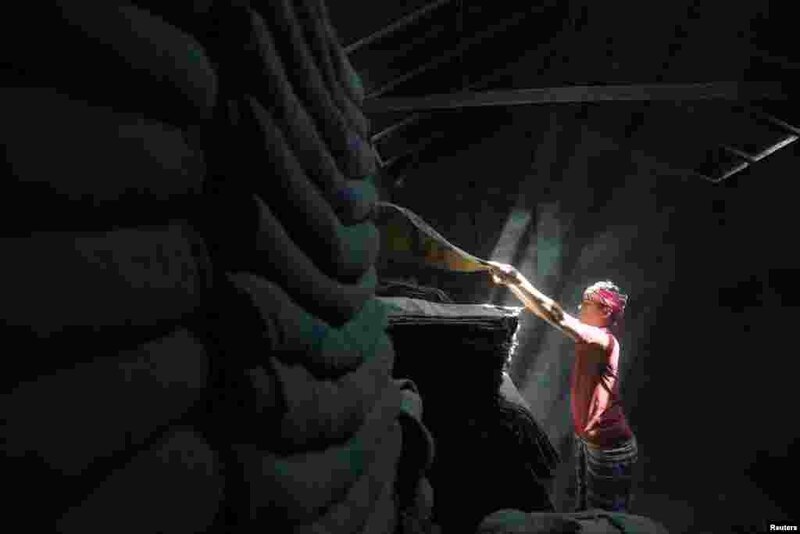 11 A worker stacks jute sacks in a shop in Munshiganj, Bangladesh. 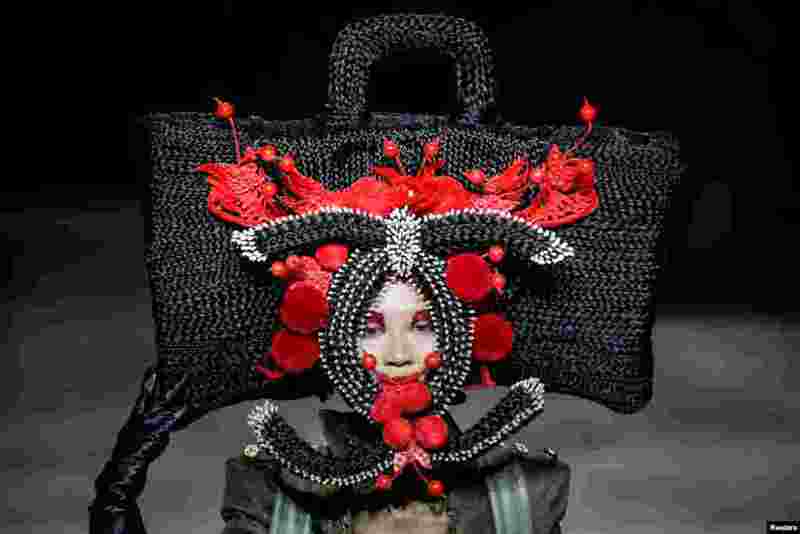 12 A model presents a creation by designer Hu Sheguang at China Fashion Week in Beijing, China.